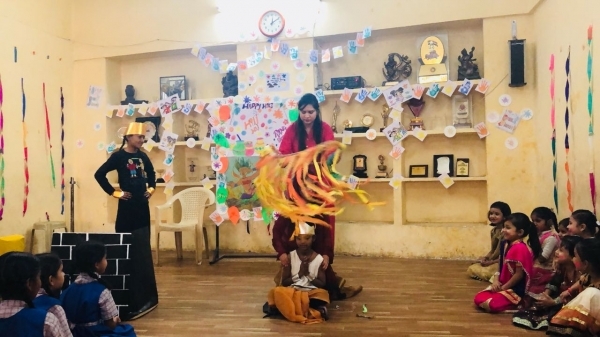 Holi celebrations took place with a lot of joy and verve at Sanskaar Vidhya Niketa-1 on 1st March 2018. 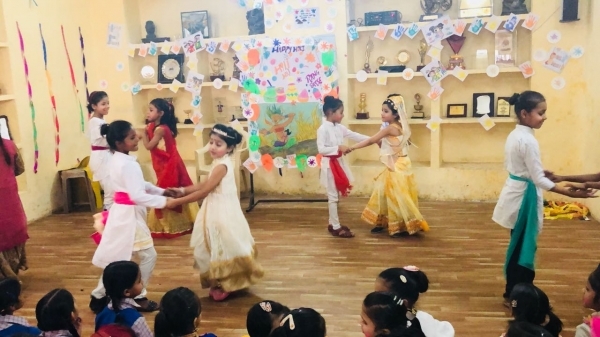 On this occasion, a special assembly was conducted by the students of class I. 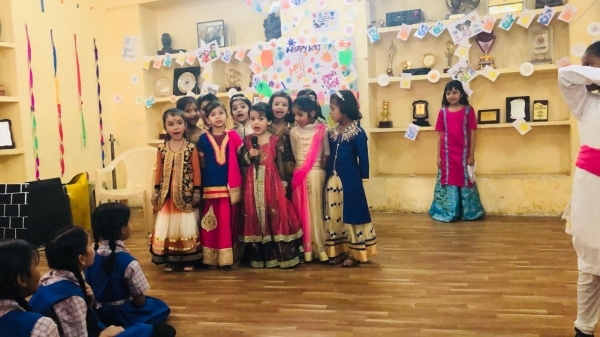 The highlight of the programme was the ‘Holi Dance’. 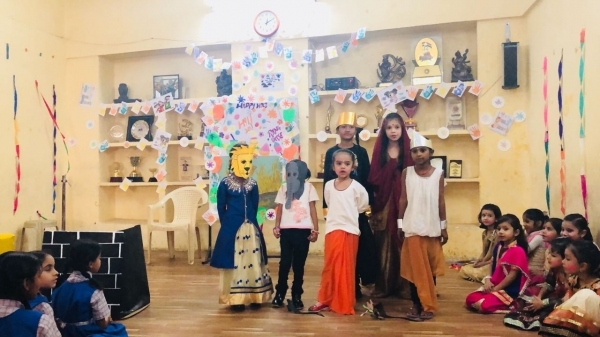 The students also enacted a skit in which they talked about ‘Prahlad’ and the importance of celebrating Holi. 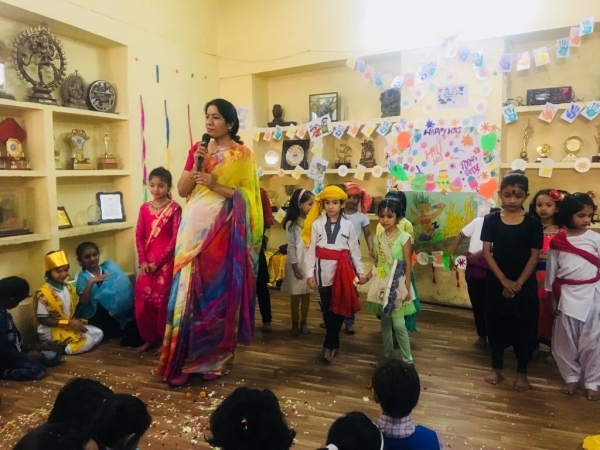 The school’s Principal Mrs Rana Lodi concluded the assembly by telling the do’s and don’ts of Holi and gave the message that HOLI is about ‘Forgive and Forget’.